The long-running PTDF Overseas Scholars program, which already has a footing in the United Kingdom, France, Norway and other countries, is designed to transfer knowledge and skills in STEM-related subjects to students who will then become leaders, academicians, professionals and technicians in the petroleum and solid minerals fields in Nigeria and abroad. 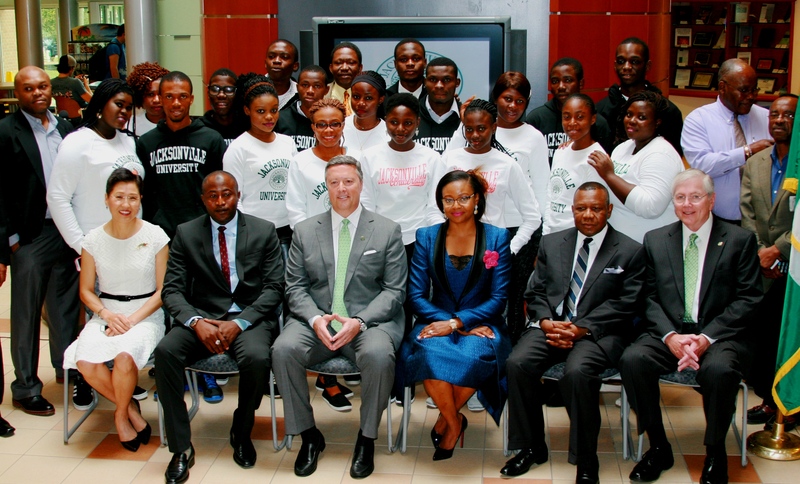 The end result is a sharing of not only academic but cultural awareness and intelligence between host universities and Nigerian students. Since 1973, the mission of the PTDF has been to train Nigerians as graduates, professionals, technicians and craftsmen in areas such as engineering, geology, science, aviation and management related to the petroleum and solid minerals industries. Its objectives are to help develop indigenous manpower, acquire and transfer technology and knowledge, and make Nigeria a human resource center for the West African sub-region in these fields. 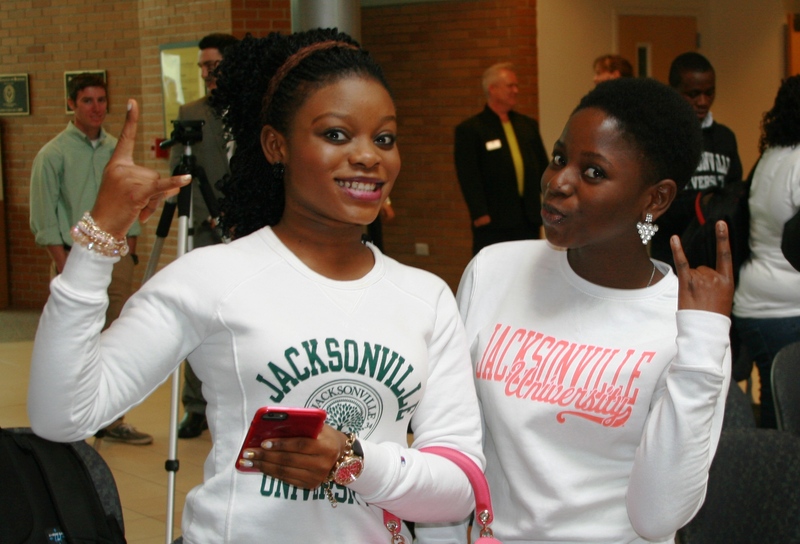 Successful applicants to the fund’s overseas scholars program must pass rigorous screening and testing. 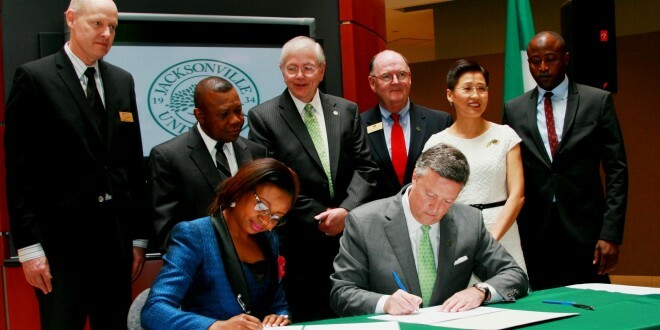 JU has a long tradition of educating and empowering students from other countries, and has plans to double its international student body in the next two years, said Provost and Chief Academic Officer Wenying Xu. It recently created partnerships with universities in China, Japan, Taiwan, Germany and Scotland, as well as new relationships with organizations in the Middle East, Europe and South America. 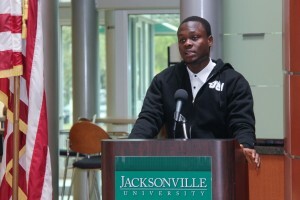 Students from more than 90 countries have attended the University in its 81-year history, and this academic year alone, 13 foreign countries are represented among the study body, with JU offering Honors and Education Abroad programs, international internships, an active International Student Association, and distinguished faculty from around the world. Nigeria’s growing technical and industrial industries require home-grown talent, said Nigerian Ambassador Amb Geoffrey Teneilabe. The country’s nine universities are able to accommodate only about half of qualified applicants. The Petroleum Technology Development Fund’s program is designed to continue Nigerian President Goodluck Jonathan’s “Transformation Agenda” to ensure the country’s positive direction. 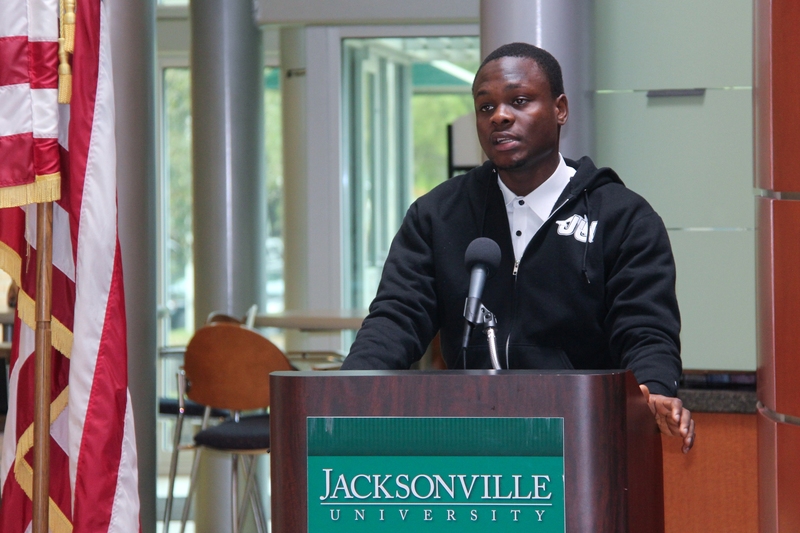 David Abraham, a 20-year-old Nigerian student with an interest in chemistry and international business, told the audience how honored he and his classmates were to be selected for the prestigious program.